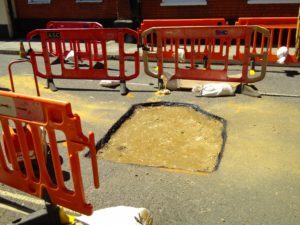 On 12th May 2017 a sinkhole appeared in the street that I work on in Ipswich. The road was closed to motor vehicles for a few weeks until the repairs were completed. After the initial period while people got used to the road being closed, I noticed a significant change in the traffic patterns in the local area. 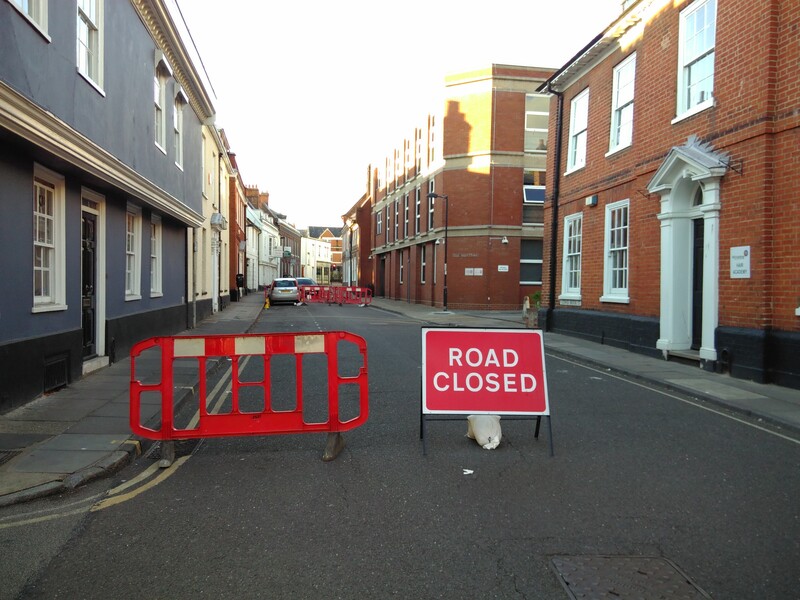 The level of traffic on the closed road and several surrounding streets was significantly reduced. I’m wondering if the reduction was enough for the bus companies to notice an improvement in the running times on the core towns centre bus routes that run along Dogs Head Street, Upper Brook Street, Tacket Street, and the Cattlemarket bus station. See the map below. 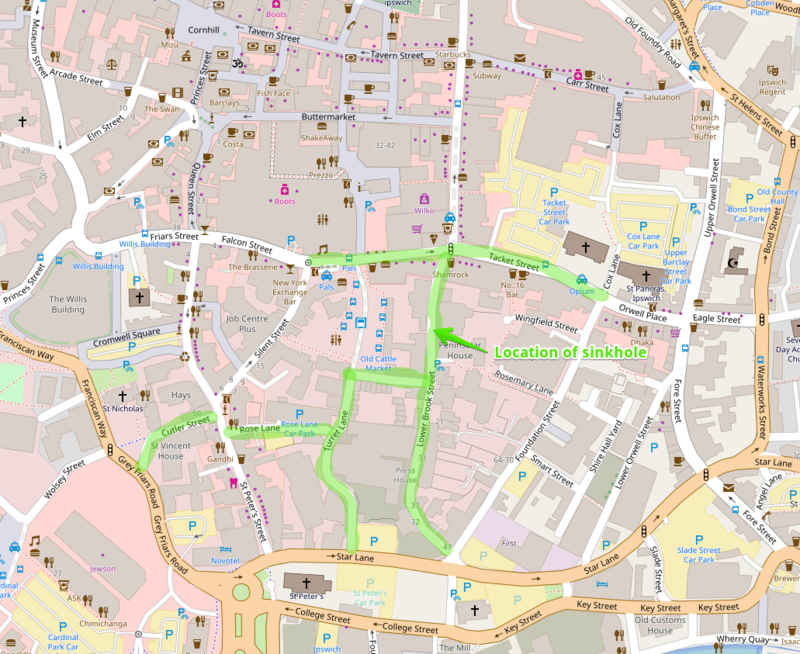 Map showing location of the incident and streets that were quieter. The ambient noise level was lower due to the lower level of motor traffic. People were much more likely to walk on the road than the narrow pavements. After the road was repaired and quietly reopened the traffic levels stayed low initially, slowly rising over a few weeks as the rat running and evening parking returned. Completed repairs to the sinkhole. The Lower Brook Street, Turret Lane, Rose Lane, and Cutler Street combination seems to be used as a rat run to avoid the Star Lane gyratory, particularly when there’s problems on the A14 meaning that it’s very slow moving. I’ve seen several trucks getting stuck on the narrow Turret Lane. 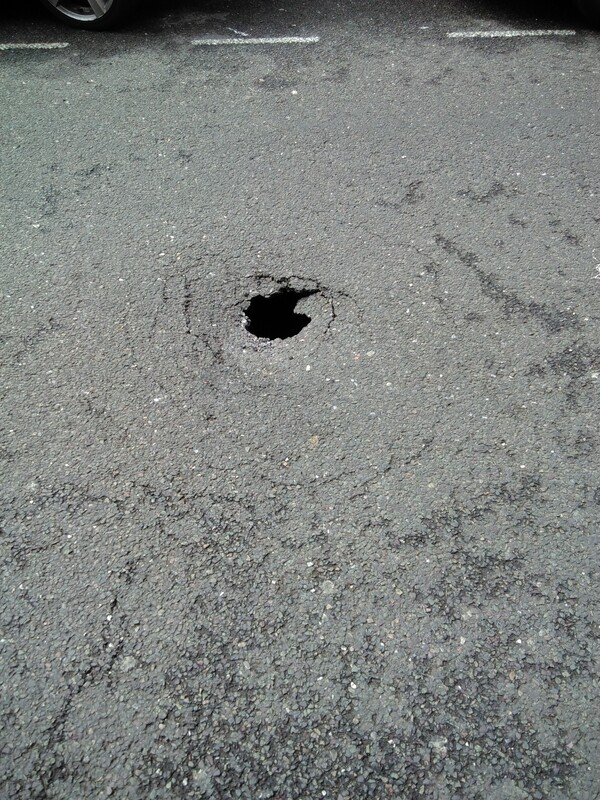 There’s also been several buildings around the junction of Lower Brook Street and Turret Lane damaged by vehicles. I’m of the opinion that Turret Lane should be closed to through traffic to stop the rat running. Around the time of the incident traffic speeds or counts were being collected, (based on the various black bands across various streets), so I’m also curious if Suffolk County Council have stats correlating the change in traffic levels. This entry was posted in Cycling, Ipswich, Suffolk, Transport on July 2, 2017 by smsm1986. I saw the link, to this blog, from the cycling embassy website. As I know Ipswich quite well, from doing a few courses at Suffolk college. Coming in from nearby Colchester, as do quite a few of my fellow towns folk. I hope it’s no secret, in Ipswich, quite a few Colchester folk go shopping there. 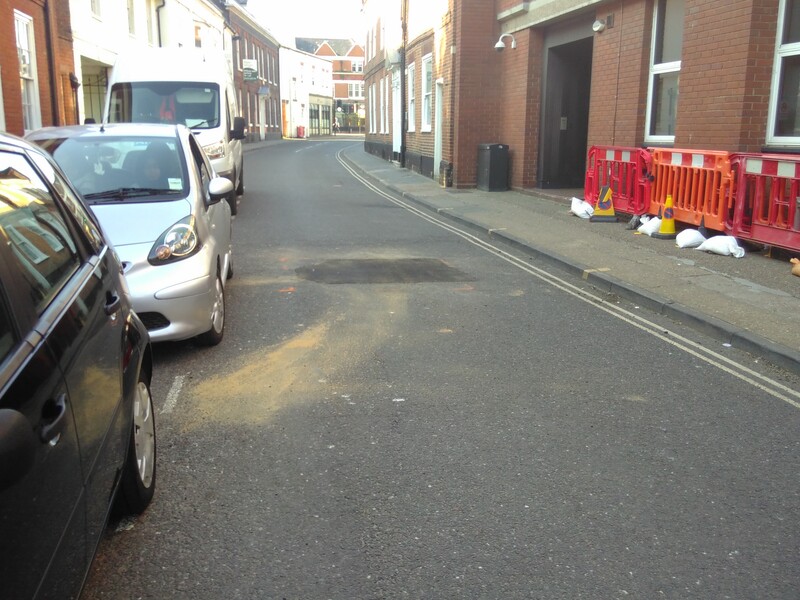 Because a previous traffic management scheme, for Colchester town centre, made it slow going either by bus or car. So a much more recent traffic management scheme, again, fell foul of local politics. I hope you heard of both cases, so in an attempt to break the latest impass. A residents association, whose residential access would be curtailed, proposed the solution for the Saddler Street of Durham. Where residents are waived the fines, for entering the street, and couriers can purchase a pass. For a nominal ammount, I believe just a couple of quid, and residents subscribe. To cover just ‘admin’ costs, as it where. 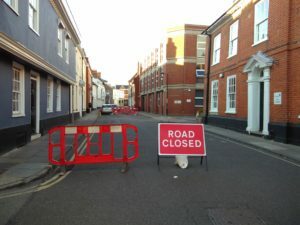 So it is my contention the narrow streets of Ipswich, you talk about, should be like Durham Saddler Street. Avoiding the worst of the anti car politics. You mention problems, when the A14 is closed, particularly an A14 bridge closure. So if the idea of a northern bypass comes to fruition, as I am aware that band wagon is starting to roll again. One idea is that there is a bus gate, north of the Ipswich docks turn off, on Whersted road.